On April 12, 2015, in Baltimore, Maryland, police officers arrested Freddie Gray, a 25 year-old African American man, who subsequently sustained neck and spinal injuries while in a police vehicle. His death led to protests across the city and erupted in civil unrest: fires, property destruction, and violence. A state of emergency was declared from April 27 until May 6. Six police officers were indicted (all subsequently acquitted), and 2015 ended with 344 murders, one of the highest rates in the city’s history. New research findings published in the American Journal of Public Health with my colleagues at the University of Maryland School of Medicine sheds light on how civil unrest relates to maternal–child health. In this study, we compared the mental health of mothers before and after the riots took place. We conducted cross-sectional Children’s HealthWatch surveys with 1,095 mothers from January 2014 through December 2015 in the pediatric emergency department and primary care clinics on maternal–child health and from June 2015 through October 2015 on daily and community routines. 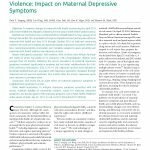 What we found was striking – about 21 percent of Baltimore mothers experienced maternal depressive symptoms before the unrest, rates of mothers reporting depressive symptoms spiked to 50 percent during the unrest. 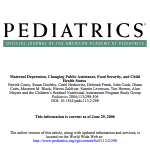 Further, when mothers were surveyed five months after the unrest, the prevalence of mothers reporting depressive symptoms had fallen to levels prior to the civil unrest. While our study was unable to ascertain exactly why the decline in maternal depressive symptoms occurred, there are at least three possibilities. 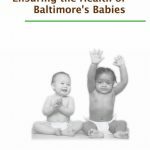 First, the efforts by the Baltimore Health Department and other organizations to address the residents’ emotional instability may have been successful. Second, the decline occurred in September, when the heat of the summer had ended and children returned to school, bringing a sense of normalcy. 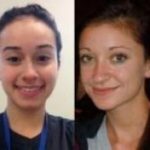 Third, in the five months since the unrest, rebuilding had occurred and the passage of time may have assuaged some of the mothers’ depressive symptoms. Civil unrest and community violence impact the entire community, with detrimental effects on maternal–child health. Through my work as Children’s HealthWatch Principal Investigator, informed clinical practice, and past research, we know that maternal depressive symptoms can be very debilitating. 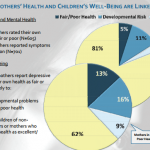 Even intermittent symptoms undermine mothers’ health and wellbeing, along with their ability to provide consistent and responsive parenting behavior. 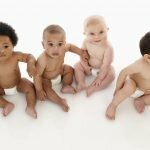 Maternal depression is particularly damaging to young children during the period when they are forming attachments and are emotionally dependent on their mother. Our findings illustrate that the consequences of civil unrest extend far beyond the fires and property destruction to impact the social fabric of communities. Ensuring that families and communities have access to basic needs, such as food, affordable housing, and jobs may reduce the social injustice that often leads to community violence. Public health solutions that include community engagement as well as access to basic needs are needed to prevent community violence and to provide services to families and communities if civil unrest occurs.